we believe that you will do likewise for us. ~ written by Rev. Abi, and posted on Rev. Abi’s Long and Winding Road blog. to life renewed and overflowing. and open our hearts to receive it. ~ Copyright © John van de Laar, from Sacredise. but to gain the whole world as well. ~ adapted from The Abingdon Worship Annual 2006, and posted on the Worship Elements page of the Ministry Matters website. enable us to witness to your grace and mercy. We pray all this through the love your son, Jesus Christ. ~ written by Terri, and posted on RevGalBlogPals. Today, Lord, I once again take up my cross and follow you. Forgive me for choosing daily to be COMPLACENT. Happiness has been my god and I have believed I’m entitled to it. Forgive me for all the excuses I have for not responding to you immediately, with urgency, and sacrificially. Forgive me for complaining about being bored as I sit and do nothing. 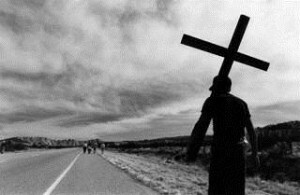 Forgive me for the times I have tried to make carrying my cross more COMFORTABLE. I have been too concerned with finding things to make it easier; gadgets and toys to make my cross lighter, smaller, and cushioned. Forgive me for making excuses and not going with you because I was worried about my health, safety, reputation, loneliness, financial security, and ability to handle extreme weather and getting dirty. Forgive me for focusing on my comfort rather than my character. Forgive me for the times I have not followed you because it wasn’t CONVENIENT. I didn’t want to go out of my way to see the needs around me because then I would feel guilty for not doing something about them. Forgive me for not loving my neighbors–I don’t even know their names. Forgive me for being so busy with my priorities that I forget to meet with you and then squeezing a few verses in at the end of my day so I can check devo’s off my to-do list. Forgive me for trying to pacify my conscience by giving just enough to feel good about myself but not enough to inconvenience my lifestyle. Today, Lord, I once again take up my cross and follow you. Shake me of my complacency; I want to live daily with an urgency to radically be the change you call me to be. Strip me of my comforts; may my love for you be a driving force to live with joyful surrender. Scratch out my schedule; I don’t want my circumstances or timeline to influence my dedication and obedience to take up my cross and follow you. Here I am; Send Me. May your word pour out of me like water to the thirsty, and may my life be full of the fruit of the Spirit. All I am and have I give back to you with open hands knowing that all my needs you will meet as I go with you. 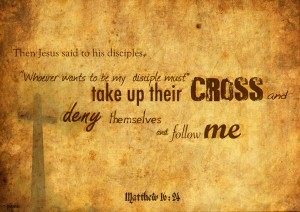 Today I take up my cross and FOLLOW YOU. ~ excerpted from a prayer by Hila, and posted on the Love God, Love Neighbour website. who listen to a voice beyond. May we learn the value of loss. May we know the value of life. ~ Copyright Katherine Hawker, 2002. Posted on Liturgy Outside. give you strength to bear your own and one another's burdens. to deny yourself, and to take up your cross and follow him. Redeemer and Giver of life be with you always. ~ posted on the Anglican Prayerbook website. Upon a cross, on Calvary’s hill. And leads to victory o’er the grave. ~ Charles William Everest, altered. it no concern of ours. by scrabbling for the dusts. ~ Christopher Idle. 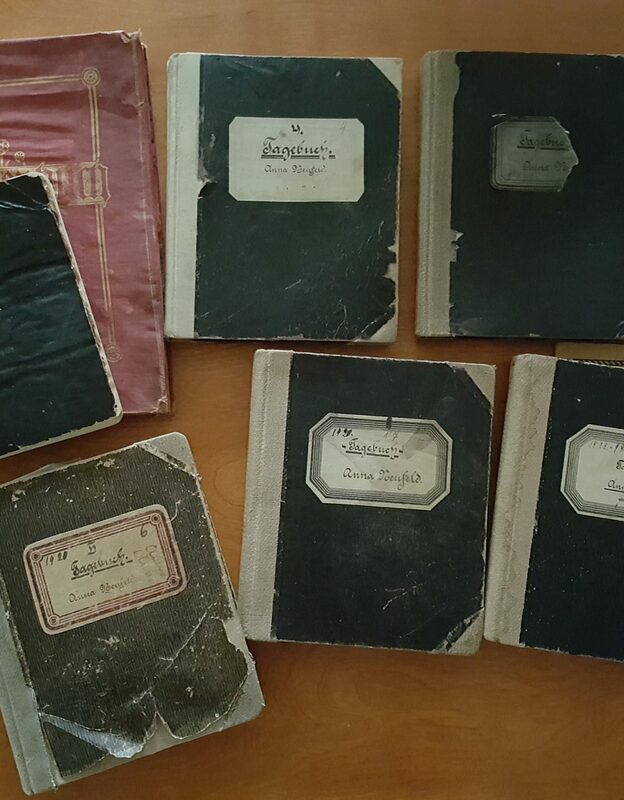 Words copyright © 1998 Hope Publishing Company. If you use this song in worship, be sure to report it on your CCLI license. ~ Martyn Layzell, Copyright © 2006 Thankyou Music (Admin. by EMI Christian Music Publishing). CCLI Song #4848064. If you use this song in worship, be sure to report it on your CCLI license. and I'll go where you lead. with your Spirit in me. ~ Joel Payne. Copyright © RESOUNDworship.org. CCLI Song #6139173. If you use this song in worship, be sure to report it on your CCLI license.